Misr International University is always keen on encouraging high achievers to maintain academic excellence; thus, MIU has granted a 50 % scholarship to a total of 126 students. An event was held on the 22nd of February 2016 to honor our high achievers and their continuous academic efforts. 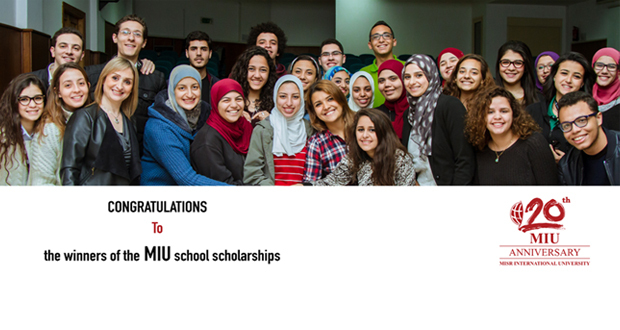 This scholarship covers 50% of all tuition fees over the entire duration of their study at MIU. This discount is based on their high school grades and admissions’ exams. The students are to receive this scholarship under the condition of maintaining the required GPA.